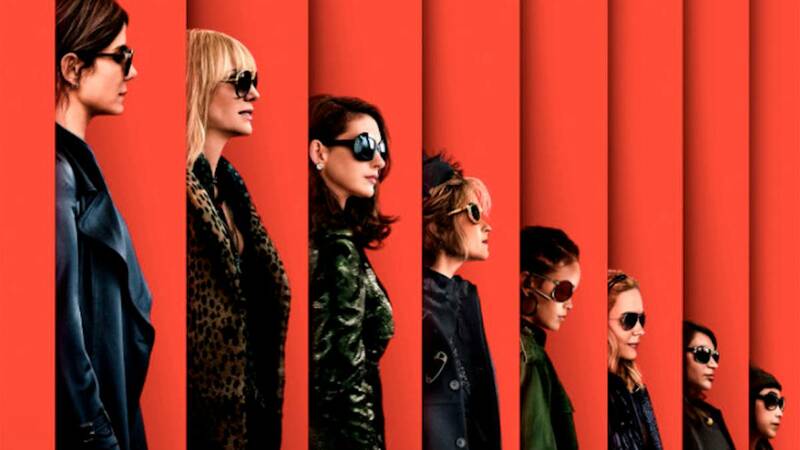 The fourth film in the OCEAN's franchise, OCEAN'S 8, dethroned SOLO: A STAR WARS STORY as the #1 movie in America. The heist movie collected $41.5 million in its first three days, grossing more than half of it $70 million production budget. Horror film, HEREDITARY, quietly grossed $13.0 million in its first weekend release, ranking fourth on the chart.It has the second best per screen average of any movie in wide release, with just shy of $4,400. Also new in theaters this weekend was HOTEL ARTEMIS. It ranked just 8th on the chart, bringing in a light $3.2 million. Expect it to drop out of the top 10 in next week's chart. AVENGERS: INFINITY WAR added another $6.8 million, bringing its domestic total to $654.7 million. It currently ranks 5th on the all-time chart and is just four million dollars shy of passing TITNIC for the #4 spot.